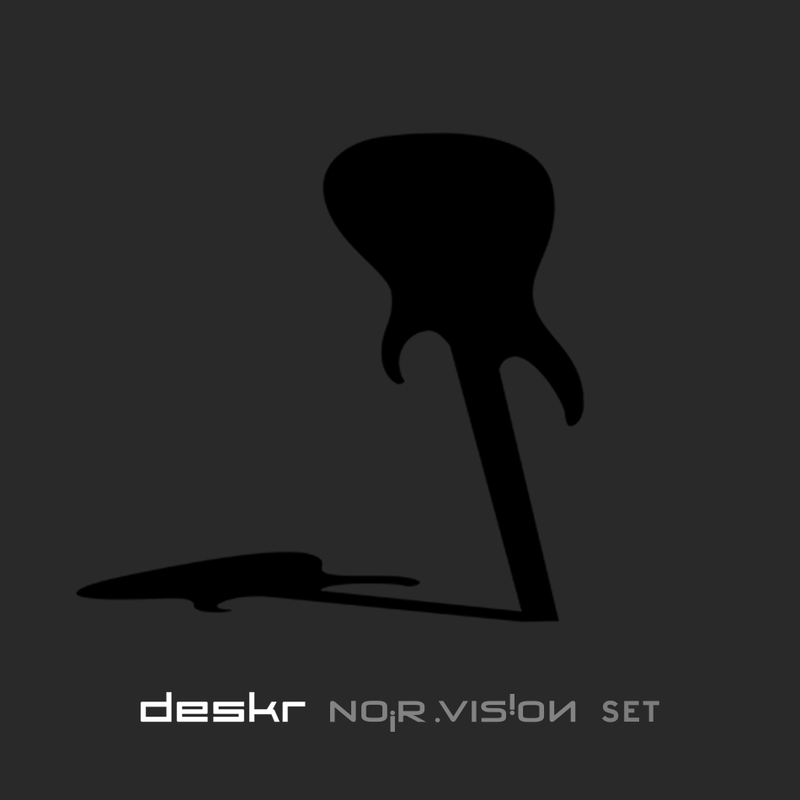 Facing 80s Pop culture when he was young, DESKR learnt beat in early electronic rhythms, made of basic synths and tempo, played on 7″ vinyls and tapes. Then late 80s suddenly came Techno, every binary tempo was firstly called House-Music. 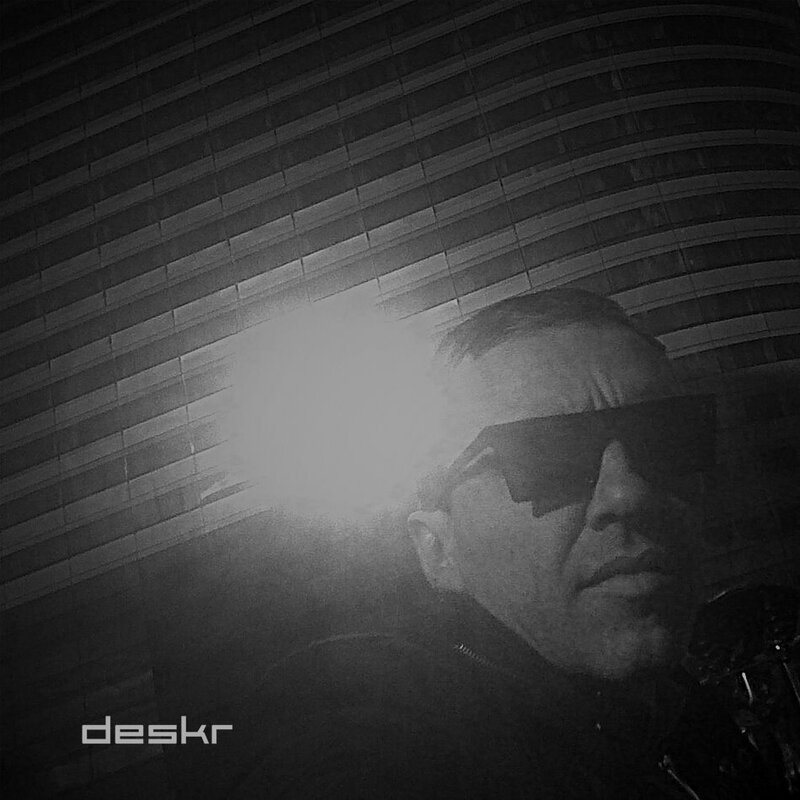 It’s in the darkest forms of this new music incoming where DESKR’s inspiration goes: Martial beats like EBM, obsessive Acid-House, sounds from Detroit, and of course essentials moments we used to call Rave. Sounding like a kind of industrial hypnosis, vapor-wave style or like an electronica demo, you can fall deep into his non-stop SLOW BEAT REPEATING. Like Chopped & Screwed style in rap, music is slowed, sampled, dismounted. But here it’s Techno music baby: made of flash-sampling, sending fire out like kerosene. DESKR stops in a technologic world made of glitched shadows, in granular atmospheres, last point before hell we could call our world. Most of the tracks are one-shots recordings, improvisation like Jazz, with a big kick added, kind of Future Lo-Fi.